On October 5 2007, I set out for the Monroe Institute to study remote viewing. Remote viewing is a skill whereby you can literally see events and places at a distance. That will be the subject of a different posting. I traveled very early that foggy morning to Newark Airport. Due to the fog-in at both Dulles and Newark my first plane was delayed by three hours. I was worried about making my connection at Dulles to Charlottesville, there to be picked up by Monroe shuttle and brought to the beautiful campus of the Monroe Institute in the foothills of the Blue Ridge Mountains. The fog lifted in Newark first and my plane boarded. I sat at the back of the aircraft on the left side looking absently out the window at the tarmac willing the plane to take off so I would not be late for my black box session at TMI that afternoon. Then I saw a butterfly flit around my window. Odd, I thought. Especially odd since it was all black. In my many years wandering around the New York, New Jersey and Pennsylvania countryside, I can’t recall ever seeing a black butterfly. This creature was 2 to 3 inches tall and 3 to 4 inches wide, larger than the little white butterflies I often see but smaller than the biggest monarchs I’ve seen. It had no dots or other perceptible markings. My thoughts during that brief encounter were mostly distracted by my fears of late arrivals and connections missed. But I tried to telepathically communicate with the little creature, thinking, “Fly away, little one, the back of a jet plane is not a safe place for you. Fly away to someone’s nice garden with beautiful flowers”. Then I was further distracted by a stewardess reviewing the flight safety information and was shortly whisked aloft. I arrived at Dulles and took off in a sprint to catch my connecting flight. Thankfully it too had been delayed and with a call to the ever helpful Monroe staff I knew I’d make my connections. Happily gazing out of the plane, again in the back left side, I was looking at another airplane at the gate one down from the gate from which my plane was leaving. It too was facing away from the gate queuing perhaps, to take off. My eyes glanced upon something fluttering and flying near the tail of the plane. I have occasionally seen a pigeon or seagull at the airport, but this creature was all black. Could it be a crow, a grackle or a starling? NO! It had no noticeable head. It fluttered and hovered by the rear of that plane much bigger than any butterfly of my experience. What was this creature? I had a sudden fear. Was this a bad omen for my flight or my trip? Should I stop the plane and insist on getting off? I checked with inner guidance and could find no reason to leave, so off I flew to Charlottesville and shuttled with the van to TMI. I became immersed in finding Dr. Darlene Miller and then experiencing my 4th ever black box session. Later that afternoon, I was sitting outside in back of a friend’s home, chatting happily when I peered upward and next to the building we both saw another black butterfly. It was midway in size between the first two and somehow fluffier. It was no bird as it again had no perceivable head and it was not a bat because it did not have a bat’s body and it was still full daylight. I am really glad my friend saw it too or I’d wonder for my sanity. 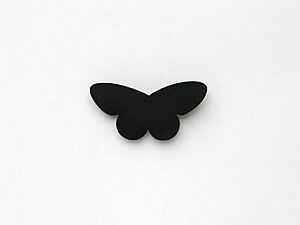 He could not recall ever having seen a large black butterfly in Virginia. I am still not sure the meaning of all this. If anyone reading this has any ideas please post them here. Farasha is an Arabic word for moth or butterfly.